Valentine's Day is almost here and that means romantic movies will be filling your TV screens. Romantic Comedies (Rom Com for short) are always entertaining especially when you are looking for a movie with a romantic story line but will also make you smile, laugh and sometimes cry. Rather than searching through your channels to find the best Valentine's Day themed TV shows and movies, I have put together a list of where you can find them. 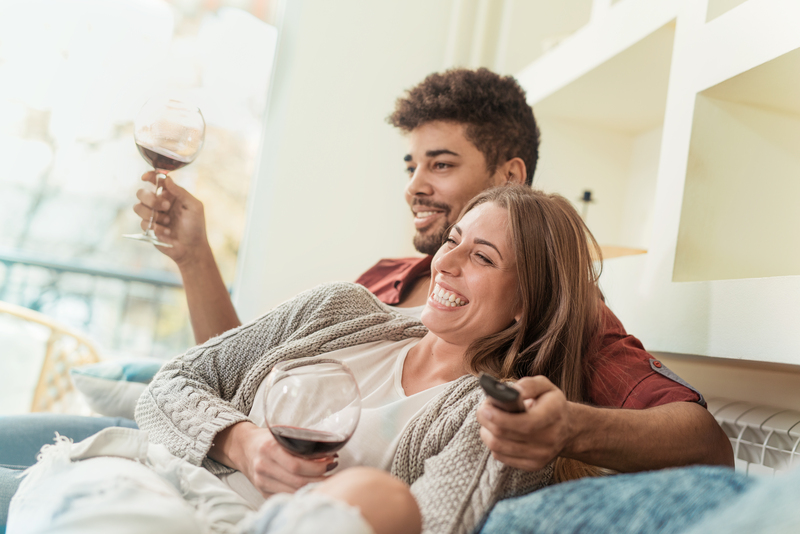 So grab your favorite blanket, some heart shaped candies, your snuggle buddy and maybe some wine to watch the love stories unfold. Hallmark is the best for when you need a cheesy romantic comedy full of love and drama while you sit on your couch eating candy and trying to guess what flavor chocolate square you just ate. This year, Hallmark is on top of their game with a mix of new original movies and a few of the classic love stories everyone knows. It’s that time of year again where love stories are filling up our TV screens. Whether you are single, madly in love, dating it up, or somewhere in between, Freeform has got you covered. ABC has the best love story of all - The Bachelor (a classic real life love story). There will be new episodes every Monday throughout February. Make sure to catch them on 2/11, 2/18, and 2/25. Check out other Valentine's Day themed episodes on TV this February. If you enjoyed this Valentine's Day themed TV lineup, make sure to subscribe to the blog for more information on what shows to catch on TV! If you subscribe today, you will be entered for a chance to win a Nest Thermostat (which would make a great Valentine's gift for your boo). Maybe your plans for Valentine's Day are to go on a date with your significant other but you aren't quite sure what to do, check out our ideas in the latest blog, Valentine's Day Activities To Do In Cincinnati.